Jobs, Travel, Events, Food etc. New York City has one of the largest populations of Asian Indians in the U.S.
Indians have been migrating to NYC since the 1960s. Most of them initially settled in the affordable and ethnically diverse borough of Queens. As their numbers grew, Indians established businesses such as grocery stores, real estate agencies, dental practices to cater primarily to their fellow immigrants. Spotting an opportunity, several Indian attorneys set up immigration & civil law firms in Manhattan and Queens to help fellow desis with their Green Card and citizenship forms, file asylum applications or to fight deportation orders, DWI/DUI and traffic violation tickets. The businesses and Indian restaurants initially came up on Main St in Flushing and 74th St in Jackson Heights, both in Queens. After the grocery stores and restaurants, came Indian fashion and appliance stores and jewelry stores. Next came newsstands and convenience stores in Manhattan, Queens and further afield in Long Island. 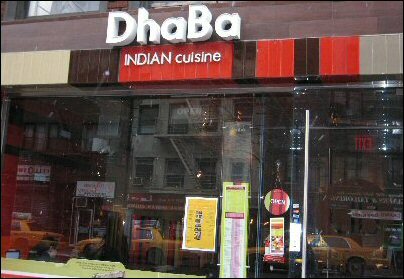 In 1970s, a band of entrepreneurs opened the first Indian restaurants in Manhattan. There's been no looking back since. 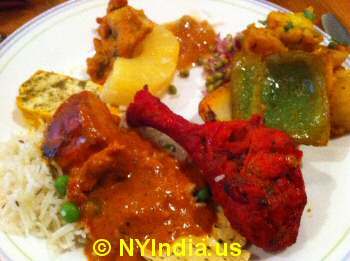 Today there are over 180 Indian restaurants in Manhattan alone serving a range of delicacies from Chicken Tikka Masala, Pongal, Lamb Vindaloo to Hyderabad Dum Biryani, Chilli Chicken and more. If you include Queens, Brooklyn and Bronx, the number of Indian restaurants would swell to over 300. While the early Indian immigrants to NYC hailed mostly from Punjab, Delhi and Gujarat, there's been a recent wave of immigrants from South Indian states like Andhra Pradesh and Tamil Nadu. 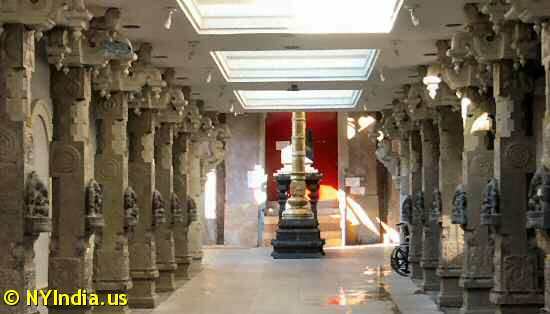 Just visit the Flushing Ganesh Temple on weekends and you'll see hordes of Tamils, Telugus and Kannadigas prostrating before the elephant God. The late 1990s and the first dozen years of this century has seen a big influx of software professionals into New York City. Many of these programmers work in Manhattan but live in New Jersey or Queens. In recent years, Bangladeshis through the Greencard lottery and Pakistanis through family connections have also been moving into Brooklyn and Queens in large numbers. Coney Island Ave in Brooklyn (between Newkirk Ave and Avenue H) and 73rd St in Jackson Heights are the business hubs of Pakistanis and Bangladeshis respectively. The size of the NYC Indian community is so big that Hindi films are screened week after week at mainstream American theaters like AMC Empire in Times Square and in Jamaica Multiplex theatre in Jamaica. Whether it is Bharat or 2.0 or any other Indian movie you can watch them for sure in NYC. Yet another attractive thing in NYC is the cheap movie tickets for Hindi movies screened before noon. Hindi movie tickets are priced at $8 per ticket for shows before 12PM at theatres like AMC Empire.